Everyone knows that old saying, “If something ain’t broke, don’t fix it”. However, in regards to your air conditioning system, waiting until something goes wrong is definitely the last thing you want to do. On a hot July day when the temperatures reach 90 degrees and the humidity levels are up, you’ll want your air conditioning to be working properly to ensure your family’s comfort. Prevent problems from potentially arising. Annual air conditioning maintenance can ensure your system remains in peak condition for the summer season and reduces the risk of repair work when you need your air conditioner to run properly. Increase efficiency of your system. You not only want your air conditioning to work, but you want it to be as efficient as possible to keep costs down. Regular air conditioning maintenance will ensure your system is running at peak efficiency so you end up paying less to keep your home cool and comfortable. Improve the performance. Perhaps last summer you noticed that the air coming out of the vents wasn’t quite as cool or as blowing strong as you would’ve liked it to. 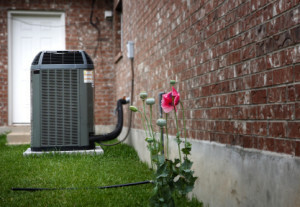 Scheduling an annual maintenance check this spring will help you enjoy a better overall cooling output from your air conditioning system throughout those hot, humid months. So, what can you expect from an annual air conditioning maintenance check? First, the technician will clean the evaporator and condenser air coils, as dirty coils can decrease the ability of the system to cool your home. Dirty coils can also cause your system to overwork and in turn, raise energy costs. Second, the technician will check and adjust the refrigerant levels, because too much or too little refrigerant is another sign that your system is running inefficiently. The refrigerant levels can affect the lifespan of your system, too. Lastly, the technician will adjust and clean the blower component to ensure the proper airflow throughout the home. Proper airflow also helps with the efficiency of your system; it can run up to 15% less efficient if there are problems with the airflow. Allow an HVAC professional to perform annual air conditioning maintenance to fix any potential problems before they arise and make sure your family stays happy and comfortable in the summer. Spring is a great time to schedule this maintenance, as it’s just before you’ll need it the most. Are you ready to schedule annual maintenance on your air conditioning unit this spring? If you’re in the Cleveland area, contact us or give us a call at 216-663-6462.